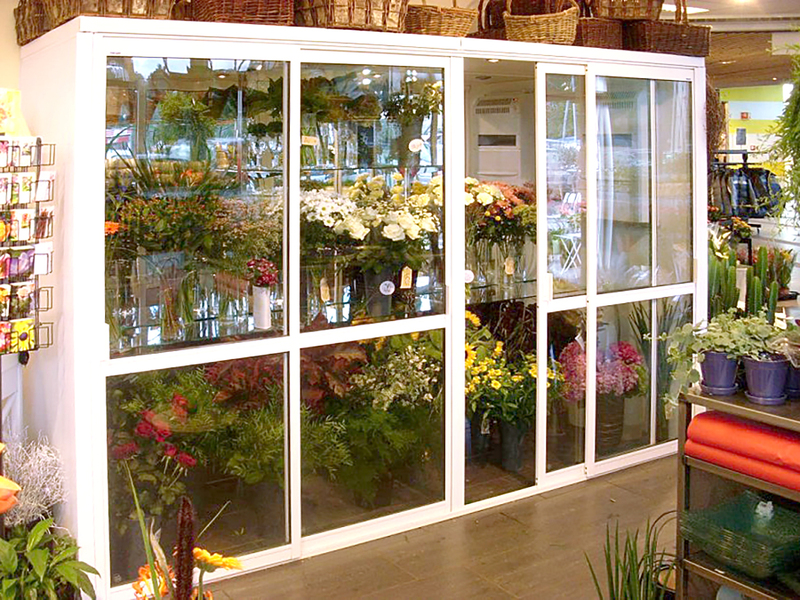 Flower Fridge has been designed specifically for florists who want to keep their flowers in tiptop condition. Florists know the importance of keeping flowers cool and the water they stand in as fresh as possible. A reliable temperature controlled storage area is essential for supplying perfect produce to their customers. Flowers ‘drink’ through their petals as well as their stems, which is where climate controlled storage space in a Flower Fridge really makes a difference. 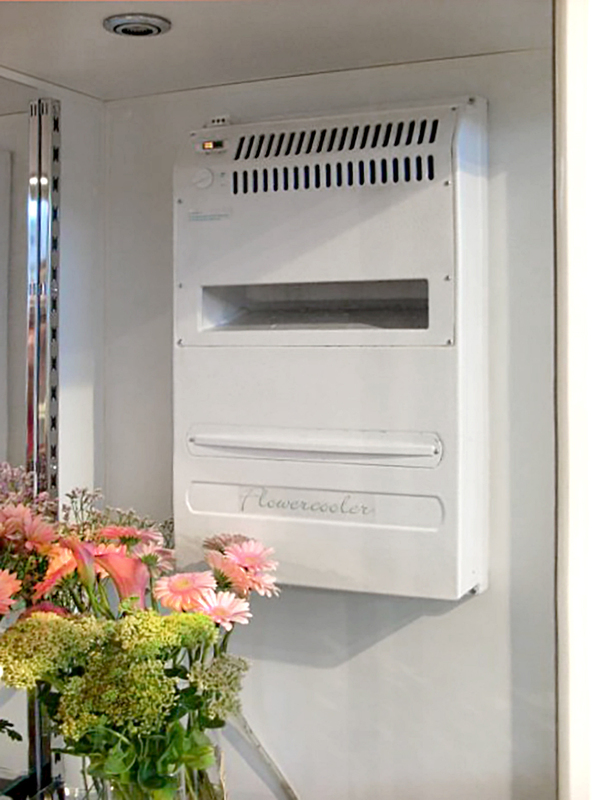 The technology used to maintain a constant temperature and correct humidity levels inside the fridge makes it perfect for storing and/or displaying flowers. It is also a wise investment for traders and retailers who need their business to run smoothly and for their produce to be given maximum shelf life 24/7. 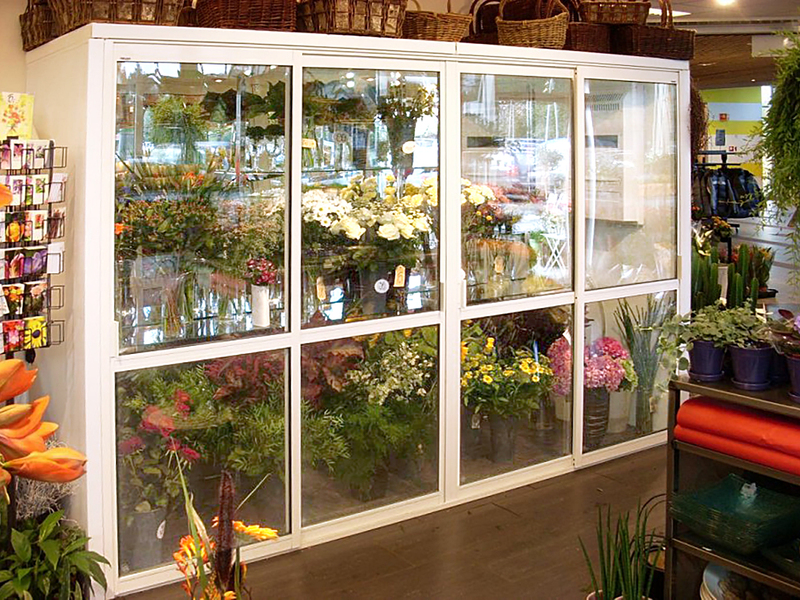 You can design your Flower Fridge with glazed doors, double doors, and doors in different walls. You also have a ‘split unit’ cooler option to give silent operation, and it can also allow your Flower Fridge to be located in areas that may otherwise not be suitable. The fridge is constructed from superior insulation materials and refrigeration units using leading technology. These essential components give you optimum performance, energy efficiency and low running costs. Shelving, although seemingly mundane, is extremely important when you need to display produce for maximum effect. The steel powder-coated rail, bracket and shelf system makes changes quick and easy. The quality design and manufacture of the shelf components means that assembly and re-assembly remains stable and secure time after time. 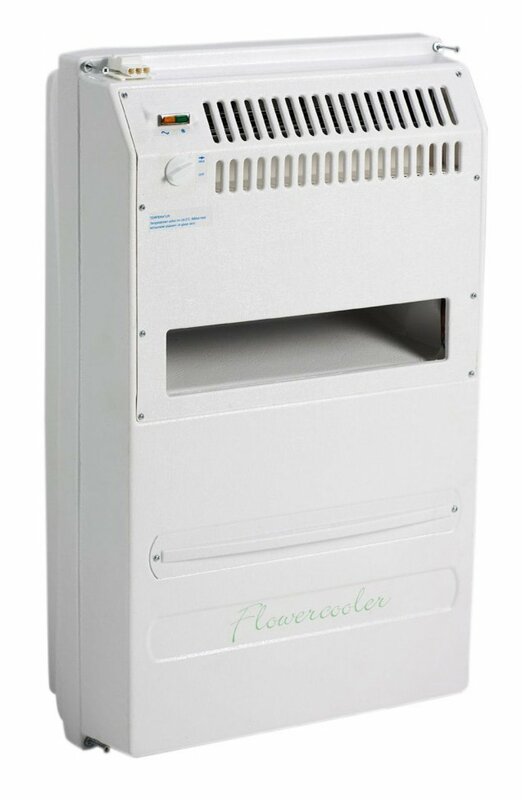 You can order a Classic Flower Fridge 1950 immediately online now. The dimensions are 1950mm x 800mm x 2108mm, with 2 glazed doors and a compact cooler unit, just like in the photo above. Simply click the ‘Add to basket’ button. To order a bespoke Flower Fridge (or Flower Room) tailored to your individual requirements, call us now on 03333 702 547 or +44(0)1302759308. We are here to help and advise you. The Corner Fridge Team will send you a tailored design and quotation within 48 hours. Alternatively, click here to complete a Flower Fridge Quote Request.